Light My Fire Lunch Box | BUDK.com - Knives & Swords At The Lowest Prices! The lunchbox has remained unchanged for half a century - an ugly metal box with a handle to carry your sandwich back and forth to school. 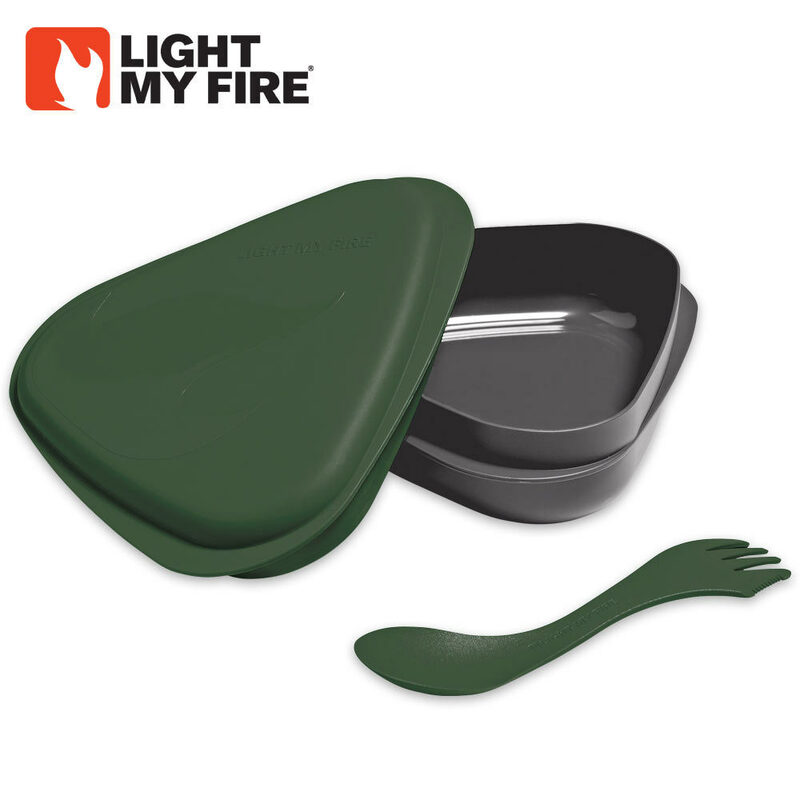 This updated, contemporary alternative is a slimmed down 3-piece meal kit that offers a lid that is a plate, a base that is a bowl, and the original spork and tritan are just what you need for your lunch while commuting or on a lightweight backpacking trip.